Organisation - Split boys into 8/9 depending on number of players. 1. 2 teams of 4. 1 ball per team. 2. 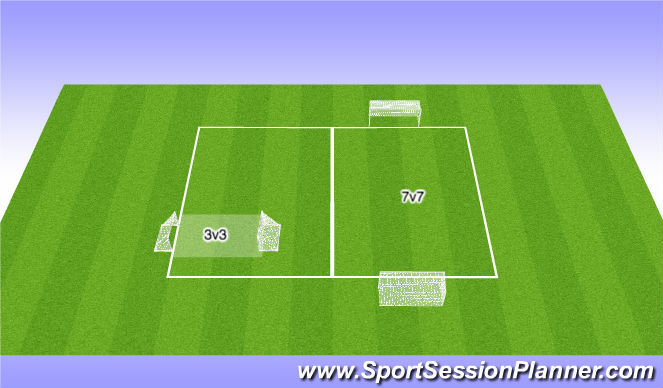 Play into two end boxes before returning through the middle area. Ask players to meet the ball in end zones rather than standing and waiting for the ball. Yellow player always works for the side playing into target players. 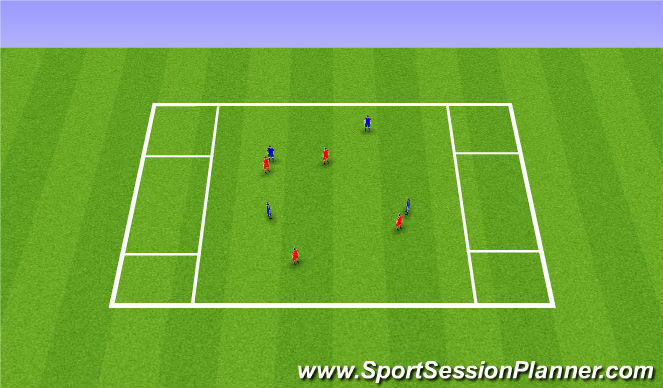 - Can you play a bounce it pass with the yellow and then get the ball into target player. Cody & George - play 7v7 game whole time. rest of the boys split into 3 teams of 6. You can only win the game by 1 goal. 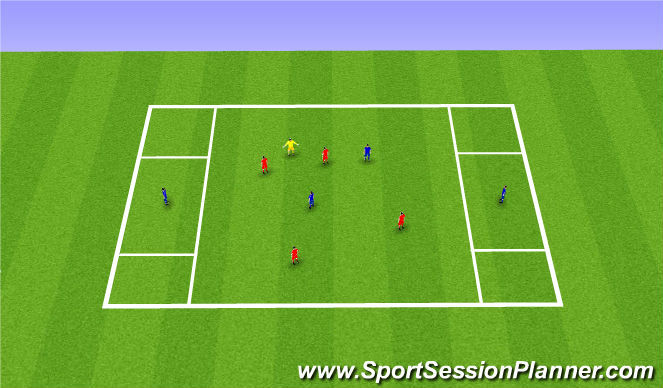 1-0 look after the ball and stop the other team scoring. Number of passes before a goal equal that number of goals. eg. 6 passes then a goal = 6 goals for that side.